Wisdom teeth are the third molars at the back of the mouth. Many people can retain them for a lifetime and experience no complications. Often, however, they can lead to severe consequences for a person’s oral health if they are not removed. 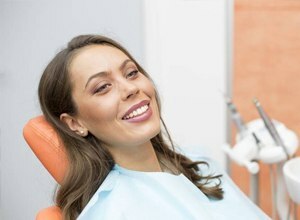 Here, learn why wisdom teeth extractions in Enfield are often necessary and how our team can help you through your procedure. Some individuals choose to have their wisdom teeth removed even before any of the above issues occur; they opt for the extraction procedure as a purely precautionary measure. If you are wrestling with the decision of whether to get your wisdom teeth removed, visit us for a checkup. We’ll examine your wisdom teeth and give you our professional, expert opinion on what you should do with them. 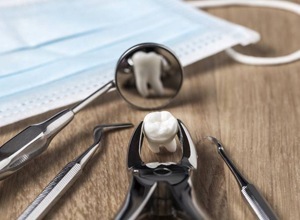 Most people get their wisdom teeth removed when they are in their mid to late teens or early 20s because the surgery tends to be easier for dentists and patients when people are in that age range. However, it isn’t uncommon for older individuals to undergo the procedure. In most cases, we’re able to handle wisdom teeth extractions right here in our office. You won’t have to entrust your precious smile to someone you don’t know and who hasn’t yet earned your trust. The first step in the extraction procedure is to make sure that you’re comfortable. We offer sedation to help you relax throughout the surgery, and we make sure the area where we’re working is completely numb. Then, we begin to remove the teeth. Sometimes, this involves making an incision in the gums and/or breaking the teeth into smaller pieces in order to make them easier to remove. Once the teeth are out, we will close up any incisions and place gauze pads at the extraction sites. 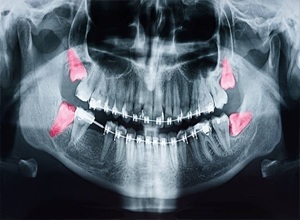 Do you believe that you may need to get your wisdom teeth extracted? Contact Four Town Dental today to schedule your consultation.